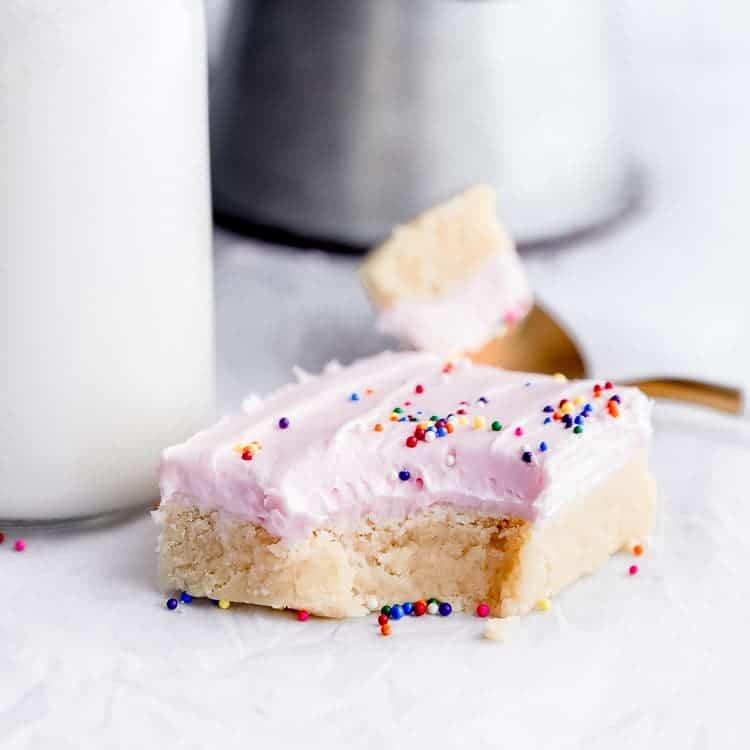 Sugar Cookies Bars, thick and delicious and covered with creamy whipped frosting, topped with sprinkles and perfect to eat, love, and enjoy in every bite. We love all things dessert, especially those with sprinkles like our favorite Rainbow Sprinkle Cookies and Sugar Cookie Spoons! LOVE Cookies? 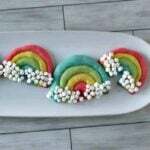 We have some of the BEST COOKIE RECIPES ever! 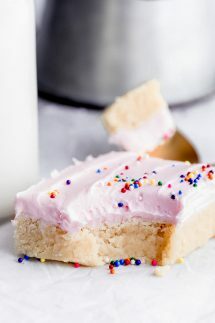 Sugar cookie bars are one of my favorite desserts, they serve a dual purpose of a cookie and a bar all in one. Light and fluffy, buttercream frosting and topped with all kinds of different sprinkles that just make you so happy to eat them. Hi guys its Shannon from The Food Cafe and I am super excited to share these buttery sugar cookie bars with you. The dough is so easy to make and there is no chill time. Just mix, roll, bake and frost and it’s ideal for making those fun sugar cookies or you could also try these super moist and decadent Texas sheet cake bars. Sugar cookie bars cannot be easier to make and only take 10 minutes in the oven. Spoiler alert, the only hard part is waiting for them to cool so you can top them with decadent frosting and sprinkles, but trust me, they are worth the wait. How do you make sugar cookie bars? Preheat oven to 400 degrees and lightly spray a 9×13 baking dish with non-stick cooking spray and set aside. In a medium-sized bowl sift flour, baking soda, and salt and set aside. In a large bowl cream butter, sugar, egg, and vanilla. Add in sour cream and half of the dry ingredients and combine. Mix in remaining dry ingredients and combining, don’t overwork the dough. Place dough in prepared baking dish and press into the dish, making sure to get it into all four corners. (You can also roll it, I used a glass to smooth it out). Bake for 10 minutes and remove from oven. 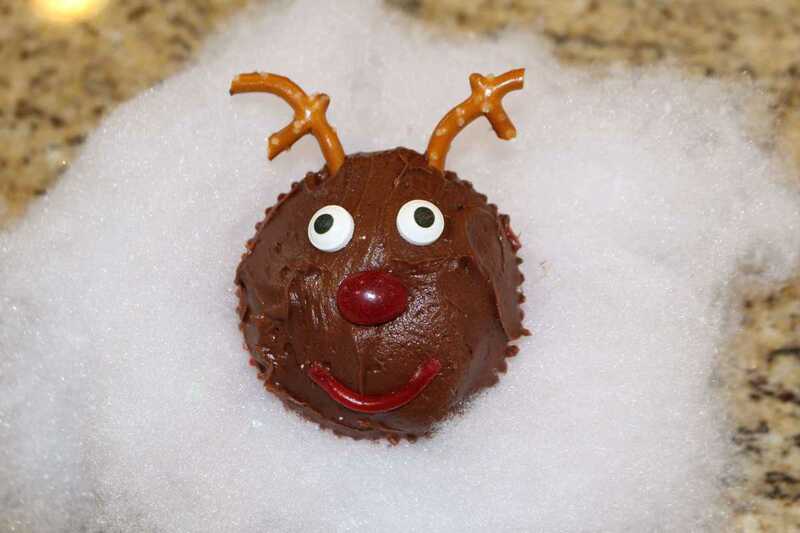 Allow to cool completely, frost and top with sprinkles. How do you make icing for sugar cookies? 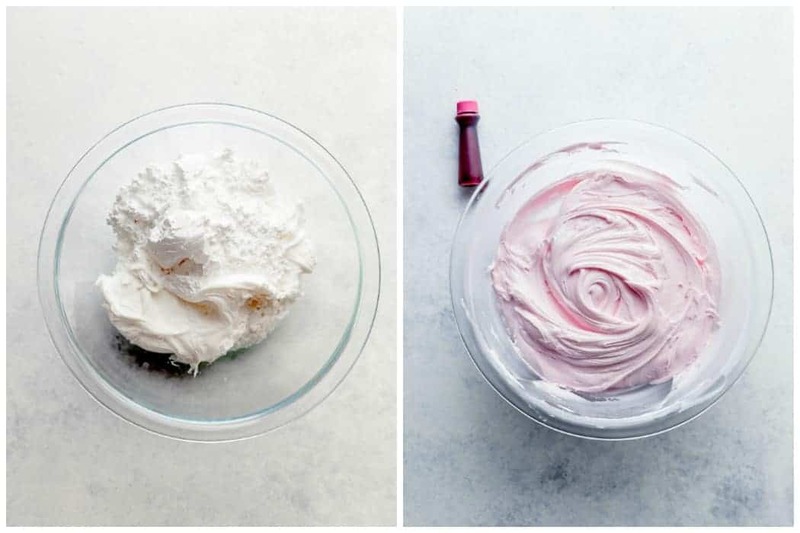 Using a medium-sized bowl combine whipped white frosting, confectioner sugar, and food coloring. Cream together and frost as usual. So simple and super delicious. 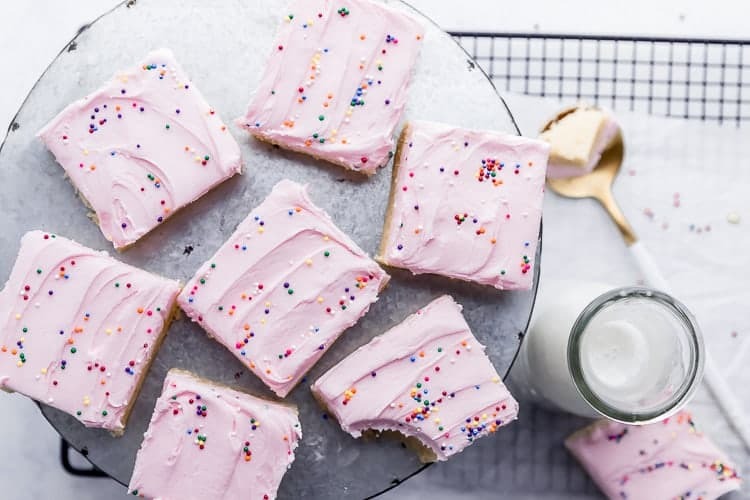 There is just something about this sugar cookies bar recipe that brings a smile to people’s face. Maybe it’s the thick and buttery taste and texture of the cookie, or could it be the soft and fluffy layer of decadent frosting that you first encounter as you take bite after bite? For me it’s both! And let me tell you, one bite leads to needing, not wanting, but needing another bite followed by another bite and you get my drift. 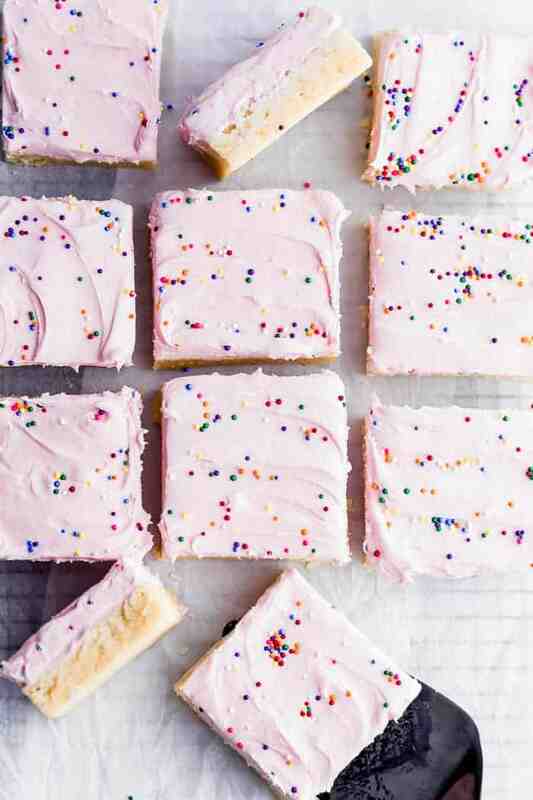 These sugar cookie bars are beyond addicting. Cut sugar cookie bars up into whatever size you would like and then using an airtight container start layering the bars cookie side down in a single row. Separate layers with parchment or wax paper and seal tight with the lid. Can you freeze sugar cookie bars? Yes, you can freeze sugar cookie bars, no problem! Just place the sugar cookie bars in a single layer of an airtight container, separating the layers with parchment or wax paper then seal tightly with lid. Or, you can put them on a cookie sheet and freeze them. Then place them in an air tight container or zip lock bag. Place in the freezer for up to 3 months. 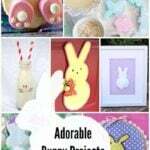 So make a fun and delicious batch of sugar cookie bars you can customize and decorate for all occasions. Want to add some chocolate chips into your cookie bars? Take a look at our Chocolate Chip Cookie Bars or our Pizookie – a pizza cookie! (chocolate chip cookie skillet)! Even easier (only FOUR INGREDIENTS!) and just as delicious! Preheat oven to 400 degrees and lightly spray a 9x13-baking dish with non-stick cooking spray and set aside. In a medium sized bowl sift flour, baking soda, and salt and set aside. In a large bowl cream butter, sugar, egg, and vanilla. Add in sour cream and half of the dry ingredients and combine. Mix in remaining dry ingredients and combine, don't over work the dough. Place dough in prepared baking dish and press into dish, making sure to get it into all four corners. (You can also roll it; I used a glass to smooth it out). Bake for 10 minutes and remove from oven and let cool completely. 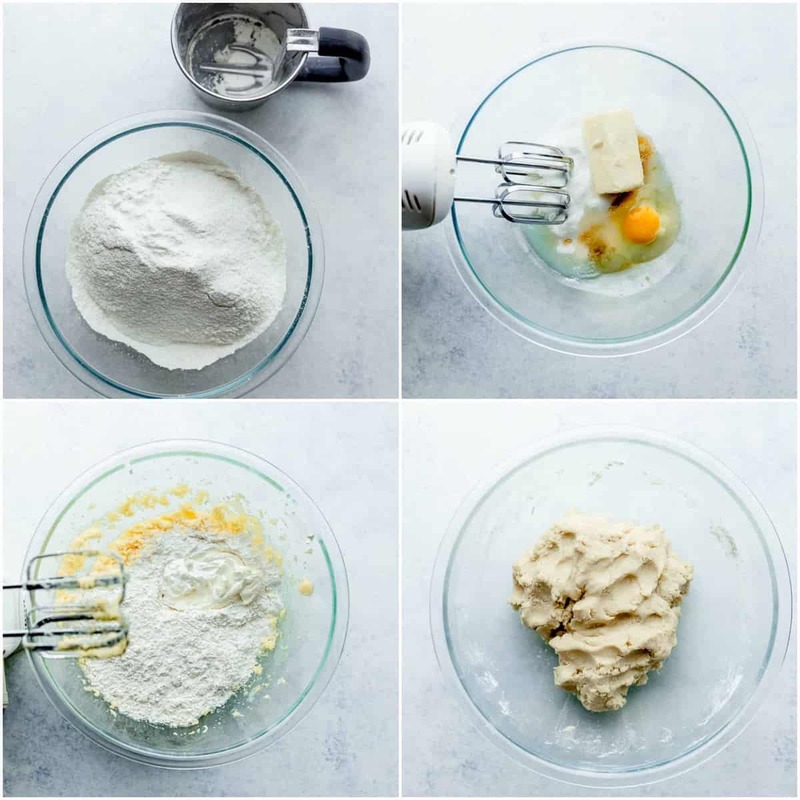 While bars are cooling make frosting in a medium mixing bowl and beat to combine all ingredients. 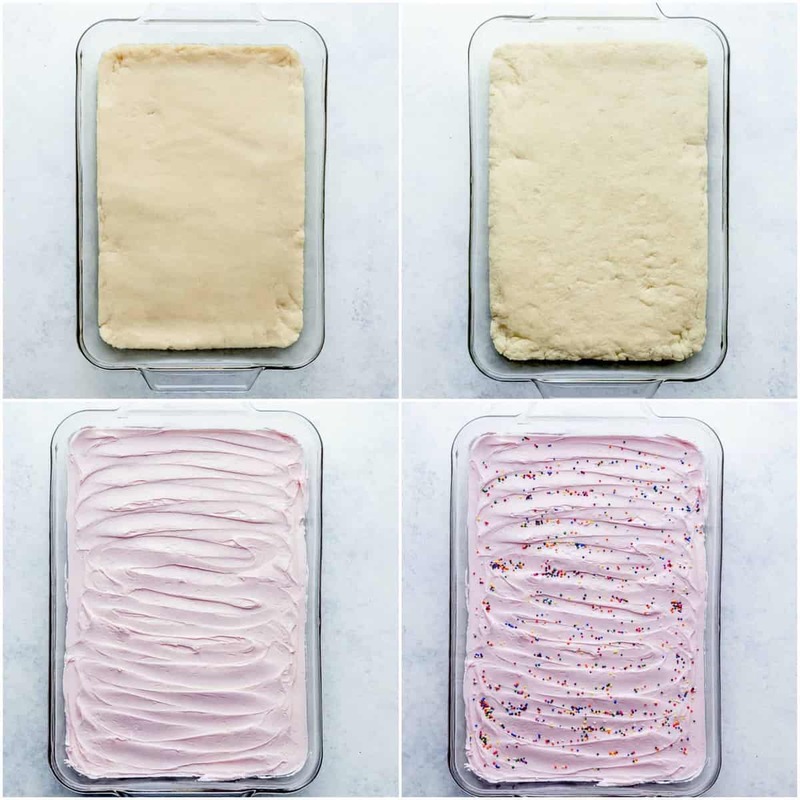 Frost bars and top with your favorite sprinkles. 5 Ingredients Slow Cooker Recipes – Quick and Easy Crockpot Recipes!